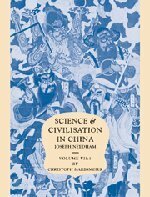 Science and Civilisation in China, Volume 7 Part 1 is the first book in the final volume of this unique resource. The Chinese culture is the only culture in the world that has developed systematic logical definitions and reflections on its own and on the basis of a non-Indo-European language. Christoph Harbsmeier discusses the basic features of the classical Chinese language that made it a suitable medium for science in ancient China, discussing in detail a wide range of abstract concepts that are crucial for the development of scientific discourse. There is special emphasis on the conceptual history of logical terminology in ancient China, and on traditional Chinese views on their own language. Finally the book provides an overview of the development of logical reflection in ancient China, first in terms of the forms of arguments that were deployed in ancient Chinese texts, and then in terms of ancient Chinese theoretical concerns with logical matters.